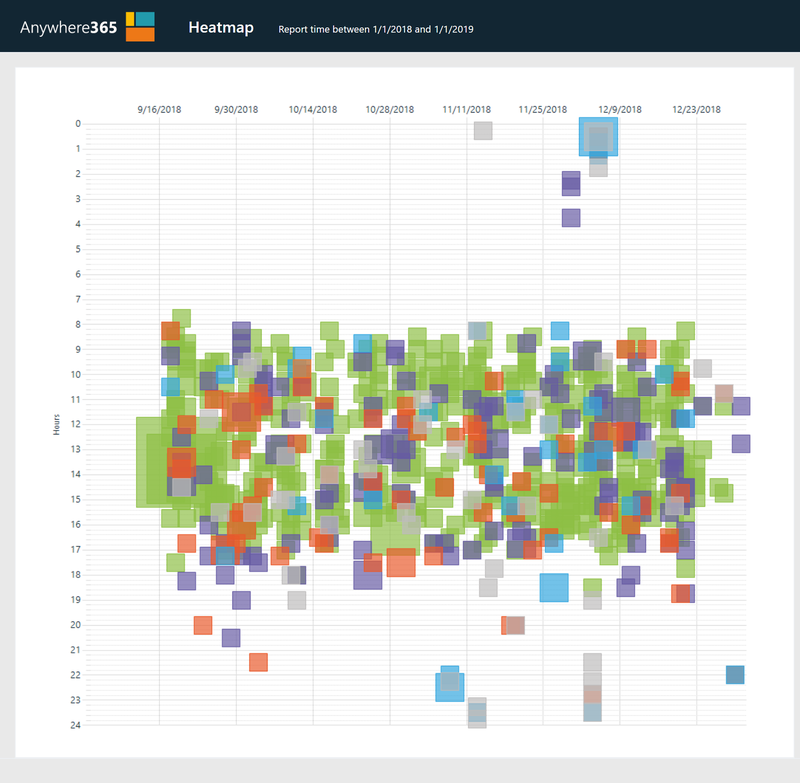 The “Conversations Heat Map” chart displays a heat map of the number of Conversations per hour and day. A heat map displays the hot spots on a chart of hours and days. This way it is possible to view the busy moments of the UCCUCC stands for Unified Contact Center and consists of a queue that can be handled by Agents Each Contact Center has its own settings, interactive voice response questions and Agent with specific skills. Agents can be member of, or sign up to, one or more Contact Centers..
Toggle the group between Hour and Hour:Qoah.